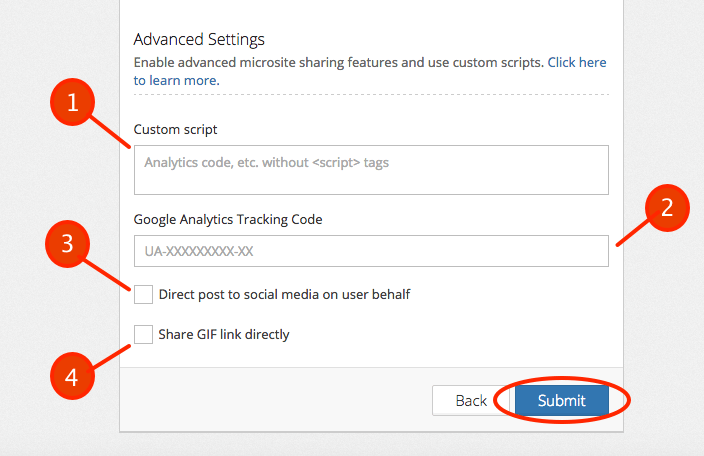 This guide will instruct you on how to setup Microsites within the PicPic Social dashboard. 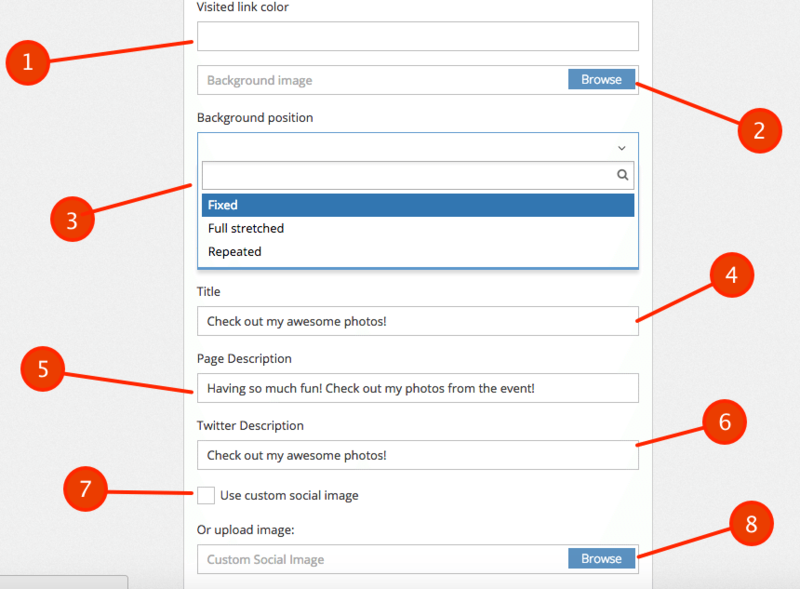 Instead of sending images directly to an attendee, you can now have image/video files posted to a branded landing page, also known as a Microsite. 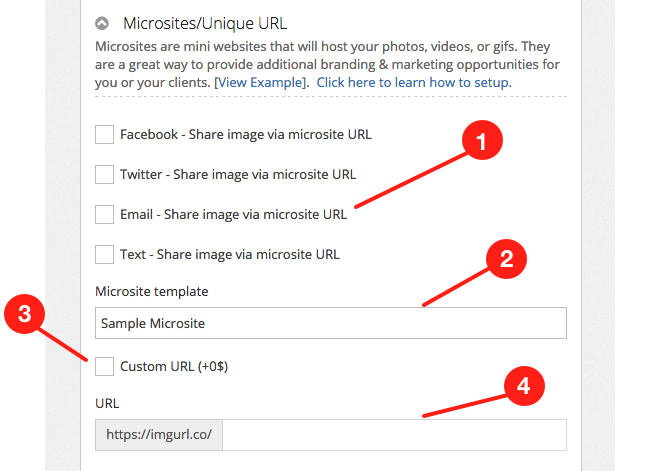 When images are posted to a Microsite users will receive their file as a URL LINK which will direct them to the Microsite. This is perfect for generating traffic to a website and increasing the number of impressions for your client. This guide will show you how to get started with using this feature for advertising your brand! IMPORTANT NOTE: If you would like a more in-depth guide on all of the Basic Microsite Settings please view the following guide here. Click Submit once you have finished editing settings. Below we've linked you to guides that elaborate on all of the Advance Microsite settings. These guides will break down everything you need to do to make a unique Microsite along the lines of this. Choose which sharing options that you would like for the event attendees to receive Microsite URL link instead of the actual photo. Select the new Microsite template that you have created in the Microsite Builder.